For ten years now, I’ve stressed the value of social media and an online presence. Now, Her Majesty The Queen has come to the same realisation. It’s a big year for The Queen. As well as turning 90, she’s hiring someone to run and manage her social media accounts for an annual salary of £50,000. Based at Buckingham palace, The Queen’s Head of Digital Entertainment will manage all the Royal family’s social media accounts. These include a verified Twitter account, an official Facebook page and The Queen’s own YouTube channel. 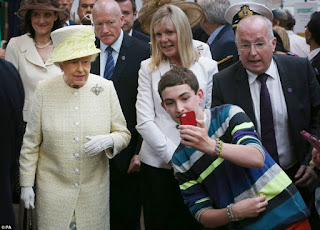 The main objective of the role is to increase The Queen’s presence on social media. My only question is why has it taken so long? 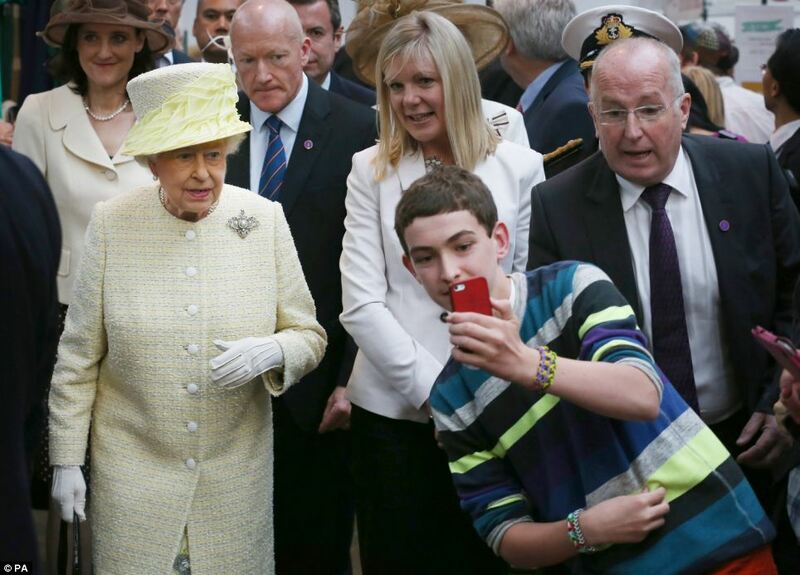 The Queen has always been at the forefront of technology. She sent her first email in 1976 and started her own website in 1997. Her twitter account was established in 2009 and she joined Facebook in 2010. Until now, however, she’s never been involved in social media to the extent that she needed full time help. Perhaps she felt her role and position precluded such intimate engagement with the public? In all, 2.22 billion people across the world use social networks. There are 1.59 billion active Facebook users worldwide – that’s 38.6 per cent of the global online population - and 310 million of us are on Twitter. So why isn’t every public figure using social media? Some celebrities and high profile individuals could argue that social media invades their privacy and invites unwelcome gossip. However, our Queen has been in the public eye for over 60 years now and it’s apparent that she’s mastered social etiquette. Earlier this month, Prince Harry and Michelle Obama launched the Invictus Games in Orlando, Florida. To mark the event, The Queen, Prince Harry and Barack and Michelle Obama appeared in an Invictus Challenge video. The 35-second-long clip has been viewed and shared by tens of thousands of users since it was posted on Twitter on 29 April. This shows how fast – and how far - information can travel on social media. If you’re interested or just a little bit nosey, check out the job ad here. There’s less than a month to go now before I’m off cycling in beautiful Switzerland with the amazing Michael Vaughan OBE, captain of England’s 2005 Ashes winning team and ambassador for the Laureus Sports for Good Foundation. For the second year running, Michael’s joining Etape Suisse Gstaad, our luxury sportive taking place from 16 to 19 June 2016. Also coming are cycling enthusiasts, high net worth individuals, business people and others who simply fancy a luxury break in the picturesque west side of Switzerland. It was great to cycle with Michael last year. He’s passionate about the Laureus Sports for Good Foundation and really supportive of the Etape Suisse ethos. He’s an amazing cyclist, too. 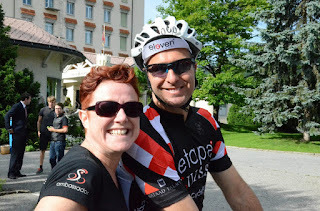 When we get to Gstaad next month, we’ll be riding in teams led by pro-cyclists and celebrities. We’ll enjoy 5 star luxury accommodation at the Grand Hotel Park. Non-cyclists are catered for too, as the hotel’s spa is the perfect place for tranquillity and relaxation. Join me. Email Emma or call 07921 160134 and we’ll get the details over to you. Laureus Sport for Good Foundation raises funds to provide financial and practical support to more than 150 projects through the power of sport. Providing coaching and education to young people, the charity helps those in some of the most challenging and deprived environments around the world. Etape Suisse was established in 2013 as a response to growing mediocrity in the UK sportive scene. The company spotted a niche for luxury cycling events in which riders of all levels and their friends and families can enjoy challenging rides in inspiring surroundings. I'm excited and proud to say that I will be competing in this year’s IRONMAN Wimbleball 70.3 on 26 June. The event will be the culmination of my many months of hard work and training for 14 hours a week, at unsociable hours. The motivation behind all this exertion is my quest for the much vaunted work-life balance, the journey and experience by extending each day with quality training. Throughout my career I’ve found that many business owners struggle to achieve this balance. Last summer, a survey found that a quarter of small business owners have fallen ill due to stress and overwork. But the effects of overworking can extend beyond physical illness according to mental health charity Mind. One in four people experience a mental illness every year – and business owners are not exempt. This is why I urge my fellow business owners and employees to get active! 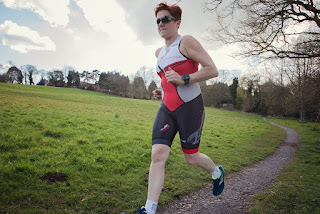 After working flat out for over 30 years, something had to change. I tried many things but exercise has really opened my mind. It’s reduced my stress levels massively and added a new dynamic to my life; I have extended my day and it’s helped me on the next phase of growing my business. As well as being fitter than I’ve ever been before, I’m enjoying the benefits of a saner work life balance. Exercise also focuses my mind on wider health issues and, as a result of this, I’m focused on my nutrition and am wheat free. Mental wellbeing means feeling good about yourself and about the world around you. It means being able to live life on your terms. And there’s compelling evidence within the NHS that mental wellbeing is linked to a physically active lifestyle. Scientists believe exercise can help people with mild depression and that it helps protect people against anxiety. This is because physical activity is thought to cause chemical changes in the brain, which can improve our mood. This enhanced wellbeing brings about greater self-esteem, better self-control and the motivation to rise to a challenge. Get in touch if you want to find out more about my training and workout regime. Drop me a message on LinkedIn or Tweet me.